Welcome to another edition of Constellation Friday! 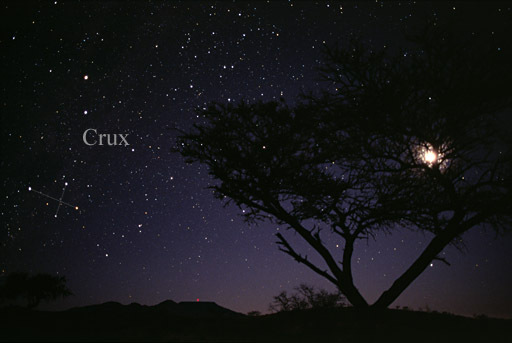 Today, in honor of the late and great Tammy Plotner, we take a look at the “Southern Cross” – the Crux constellation. Enjoy! One of these constellations is known as Crux, a small constellation located in the southern skies. Despite its size, it is one of the most well-known constellations in the southern hemisphere due to its distinctive cross-shape. Today, it has gone on to become one of the 88 modern constellations currently recognized by the International Astronomical Union (IAU). For the people of the Southern Hemisphere, the Crux constellation has a great deal of cultural significance. The Incas knew the constellation as Chakana (Quechua for “the stair”), and a stone image of the stars was found in Machu Picchu, Peru. To the Maori, the constellation was known as Te Punga, or “the anchor”, due to the important role it played in maritime navigation. To the Aborigines of Australia, the cross and the Coalsack Nebula together represented the head of the Emu in the Sky. 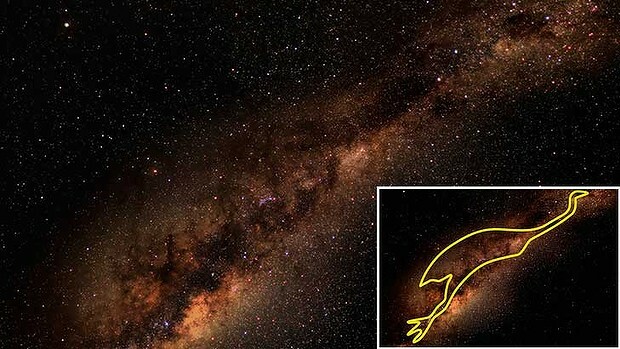 This mythical bird is associated with several Aborigine creation myths and is one of the most important constellations in their astronomical traditions. Because of this significance, the Southern Cross is represented on the flags of Australia, Papua New Guinea, New Zealand Brazil, and Brazil. The first recorded instance of Crux being named is believed to have occurred in 1455, when Venetian navigator Alvise Cadamosto made note of an asterism in the southern skies that he called carr dell’ostro (“southern chariot”). However, historians generally credit Portugese astronomer Joao Faras with the discovery, which occurred in 1500 when he spotted it from Brazil and named it “Las Guardas” (“the guards”). By the late 16th century, Crux began to be depicted as a separate constellation on celestial globes and maps. In these and subsequent maps, the name Crux was used (Latin for “Cross”), referring to the constellation’s distinct shape. Crux was originally considered to be part of Centaurus, but as the precession of the equinoxes gradually lowered these stars below the European horizon, they were lost sight of, and so was the memory of these stars. At one time, around 1000 BCE, the stars of Crux were visible to the northern hemisphere, but by 400 CE they had slipped below the horizon for most populated areas. Even though it was originally plotted on Ptolemy’s Almagest, it first appeared as “Crux” on the charts of Petrus Plancius and Jodocus Hondius in 1598 and 1600 – both navigators. It is known that Amerigo Vespucci mapped the stars of Crux on his expedition to South America in 1501, and with good reason! Two of the stars of Crux (Alpha and Gamma, Acrux and Gacrux respectively) are commonly used to mark due south. Following the line defined by the two stars for approximately 4.5 times the distance between them leads to a point close to the Southern Celestial Pole. A definite point needed for navigation! In 1920, Crux was included among the 88 modern constellations recognized by the IAU. Of the major stars in Crux, Alpha Crucis (Acrux) is the brightest, and the 12th brightest star in the night sky. It is located approximately 320 light years away and is a multiple star system composed of Alpha-1 Crucis (a B class subgiant) and Alpha-2 Crucis (a B class dwarf). Both stars are very hot and their respective luminosities are 25,000 and 16,000 times that of the Sun. Beta Crucis (Becrux, or Mimosa) is the second brightest star of the Southern Cross and the 20th brightest star in the night sky. It is approximately 350 light years distant, is classified as a Beta Cephei variable, and is a spectroscopic binary composed of two stars that are about 8 AU apart and orbit each other every five years. The name Mimosa refers to its color (blue-hued). Gamma Crucis (Gacrux) is a red giant that is approximately 88 light years distant from Earth. It is the third brightest star in the Crux constellation and the 26th brightest star in the sky. Located about 400 light years distant from Earth, this binary star is composed of a M4 red dwarf star and a A3 white dwarf star. Crux is also associated with several Deep Sky Objects, the most notable of which is the Coalsack Nebula. 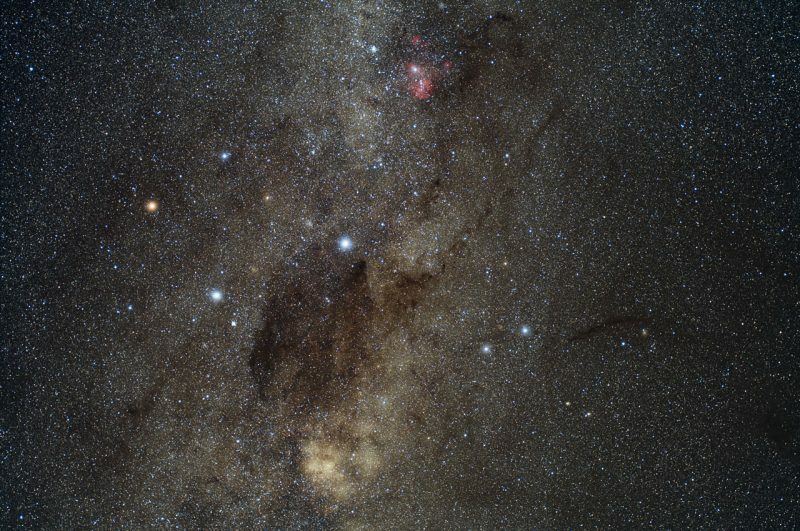 This object is easily seen as a dark patch in the southern region of the Milky Way (hence the name) and crosses into the neighboring constellations of Centaurus and Musca. It is located about 600 light years from Earth and is between 30 and 35 light years in radius. In Aboriginal astronomy, the nebula represents the head of the Emu. Then there’s the Kappa Crucis Cluster (aka. the “Jewel Box” or “Herschel’s Jewel Box”), an open star cluster that is located approximately 6,440 light years from Earth. It contains roughly 100 stars and is one of the youngest clusters ever discovered (only 14 million years old). To the naked eye, the cluster appears like a star near Beta Crucis. The constellation itself consists of four bright, main stars and 19 stars which have Bayer/Flamsteed designations. It is bordered by the constellations of Centaurus and Musca. At present, Crux is visible at latitudes between +20° and -90°. While it is fairly circumpolar for the southern hemisphere, it is best seen a culmination during the month of May. Now, let’s take out binoculars and examine its stars, started with Alpha Crucis, the “a” shape on our map. Its proper name is Acrux and it is the twelfth brightest star in the night sky. If you switch your binoculars out for a telescope, you’ll find that 321 light year distant Acrux is also a binary star, with components separated by about 4 arc seconds and around one half stellar magnitude difference in brightness. The brighter of the two, A1 is itself a spectroscopic binary star – with a companion that orbits no further away than our own Earth, yet is around 14 times larger than our own Sun! Needless to say, there’s a very good chance this star may one day go supernova. While you’re there, take a look an addition 90 arc seconds away for a third star. While it may just be an optical companion to the Acrux system, it does share the same proper motion! Back to binoculars an on to Beta Crucis – the “B” shape on the map. Mimosa is located about 353 light years away from our solar system and it is also a spectroscopic binary star. This magnificent blue/white giant star is tied at number 19 as one of the brightest stars in the sky, and if we could put it side by side with our Sun it would be 3000 times brighter. Mimosa is also a multiply-periodic Beta-Cephi type star, too, fluxing by about 1/10 of a magnitude in as little as hours. What’s going on? Inside Beta Crucis the iron content is only about half that of Sol and it’s nearing the end of its hydrogen-fusing stage. When the iron core develops? Watch out! It’s supernova time…. Now hang on to your binoculars and head north for Gamma Crucis, the “Y” shape on the map. Gacrux, is a red giant star approximately 88 light-years away from Earth. Did you notice its optical companion about 2 arc minutes away at an angle of 128 degrees from the main star? While the two look close together in the sky, the secondary star is actually 400 light years away! Gacrux shows its beautiful orange coloring to prove it has evolved off of the main sequence to become a red giant star, and it may even be evolving past the helium-burning stage. Move on now to Delta Crucis – the figure “8” on our map. Decrux is a red giant star located about 360 light years away from our vantage point. Delta Crucis is also Beta Cephei variable and changes its brightness just a tiny bit over a period of about an hour and 20 minutes. Another cool factoid about Delta Crucis is that it’s a fast rotator – spinning at a speed of at least 194 kilometers per second at the equator and making a full rotation in about 32 hours. This massive star also produces a massive stellar wind, shooting off 1000 times more material than our own Sun every second of every day! Or try R Crucis… It’s also a Beta-Cephi type variable star, but it changes by nearly a full stellar magnitude in just a little over five days! Keep your binoculars handy and head back to Beta and sweep south a degree and a half for the Kappa Crucis star cluster. This beautiful galactic cluster of stars commonly known as the Jewel Box (NGC 4755). After you see its glittering collection of multi-colored stars, you’ll understand how it got its name! It is one of the youngest clusters, perhaps only a few million years old. Kappa Crucis is also right on the edge of a dark void in the sky called the “Coal Sack”. While you’re looking around, you’ll notice that there seem to be very few stars in this area. That’s because they are being blocked by a dark nebula! The Coal Sack is a large, dark dust cloud about 500 light years away and it’s blocking out the light from stars which lie beyond it. The few stars you do see are in front of the cloud and much nearer to the Earth. Now it’s telescope time. Head to Alpha Crucis and slightly less than 2 degrees east for NGC4609. Also on the edge of the Coalsack, this large, fairly condensed open cluster contains about 40 members and they are well spread across the sky. The pattern somewhat resembles the constellation of Orion (in the imagination, of course!). Mark you observing notes for Caldwell 98. Next stop? Back to Delta and less than 3 degrees south/southwest for NGC4103, another open cluster on the edge of night. With a little bit of imagination, this grouping of stars could appear to look like a celestial water tower!